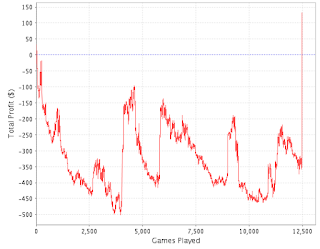 Although I don't play a whole bunch of MTTs generally, usually just a few turbos a day, I've had some nice results that I haven't bragged about mentioned yet on my blog. 1. My 1st Sunday Major victory! Ok, it's a slightly misleading headline, that might lead you to think I've won "mad dimez", when actually I didn't. I also only sort of won. On Sunday 22nd March I chopped the $215 Pacific Rim Special Heads Up for ~$4,300 vs another SNG reg who got $90 more than me. We flipped any two cards for the TLBs (Tournament LeaderBoard points) and somehow the hands ended up being JJ vs A3 (rigged) and therefore PokerStars accredits me with a 1st place finish. Wiiiiiiiiiii. 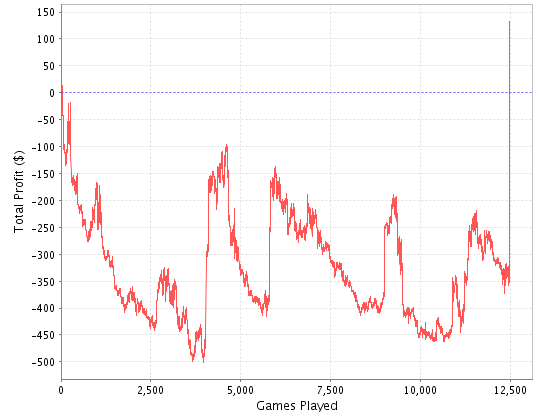 Ok so with 103 entrants it's not quite the Sunday Million, but it was still a very welcome bink. 1 Comment to "First Quarter Review..."
Glad to hear you're doing well. Keep the posts coming! The positive side of variance! PokerStars to purchase Full Tilt Poker? !